When you hear the word “Cambodia”, what comes to your mind? I used to draw a blank or in the best of cases I thought it was a far east land, of oriental-looking people who… probably had a lot of wars? It wasn’t until I started looking for places to visit near Thailand for our extended trip that I got to learn more about this fascinating country. 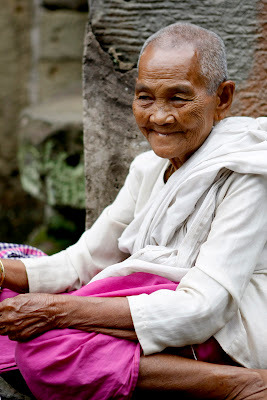 “The Khmer Rouge … literally translated as Red Cambodians was the name given to the followers of the Communist Party of Kampuchea, who were the ruling party in Cambodia from 1975 to 1979, led by Pol Pot and others. The regime led by the Khmer Rouge was known as the Democratic Kampuchea. This organization is remembered primarily for its policy of social engineering, which resulted in genocide. Its attempts at agricultural reform led to widespread famine, while its insistence on absolute self-sufficiency, even in the supply of medicine, led to the deaths of thousands from treatable diseases (such as malaria). Brutal and arbitrary executions and torture carried out by its cadres against perceived subversive elements, or during purges of its own ranks between 1976 and 1978, are considered to have constituted a genocide. Sure I had heard of the Khmer Rouge, but I had no idea about these horrific events and when I did learn about them, it made me the more curious about today’s Cambodia. Cambodia is not at all how you imagine it. Despite their recent history, Cambodians are not at all sad or resentful. In fact, they are working hard to build up their country again and to catch up with progress. People are always on the streets, lively, happy people, they are always on the run to get somewhere, thousands or motorbikes and bicycles, wrecking havoc and in the midst of all the chaos, there is an inherent order. Thousands of stalls and food stands, offering you all kinds of exotic and delicious food, people calling you out to try them. Commerce happens on the streets. Even though there’s still poverty, there is also great development, places where you go Wow! at the buildings and the infrastructure. To think this country has been rebuilt from the ground up in my lifetime. WOW. Imagine what this great nation can achieve in the next 10-20 years. People are at peace for the most part, everything but sad and instead vivacious and cheerful, people who seem to compete for who has the loudest speakers to play their music, right outside, on the street, where it all happens. Even pagodas, where people go to pray and meditate, blast their speakers with sacred chants. Some say that living next to a pagoda can be very noisy, they can start chanting at 5 am! Even though some people literally live on one dollar a day, everybody has a cell phone. Some are illiterate, so they remember which keys to push when they want to call someone. A bit timid when you first approach them, they are kind-hearted people. 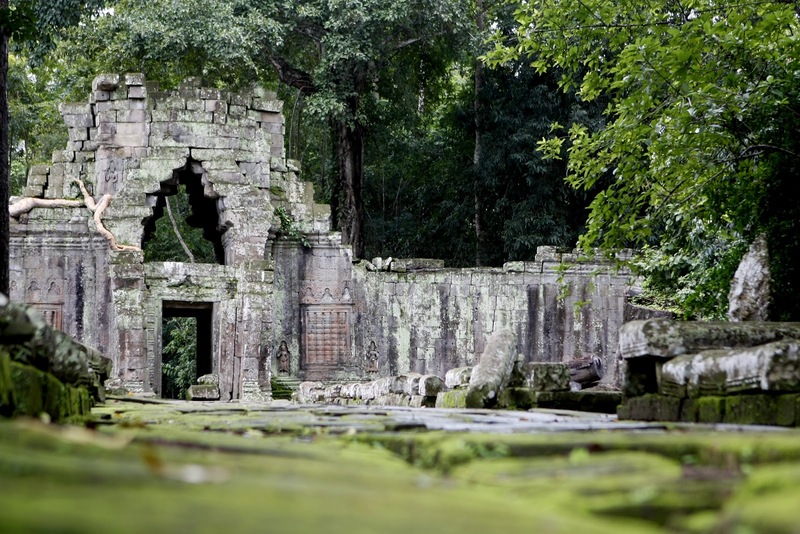 If Cambodia’s recent history is tragic, their more “ancient” history is just amazing. Near the city of Siem Reap, the second largest city of the country, and the Tonle Sap lake (tonle = lake) there is a temple complex from the 12th century, Angkor Wat being its main and most preserved temple. Angkor Wat is the main attraction for visitors and you can reach it by bus, six hours from Phnom Penh or from Thailand from the north, or reach the city directly by plane. But there is just so much to say about Angkor Complex, that I’ll leave it for a later post. Suffice it to say that it has been considered one of the wonders of the world and it is included in the World Heritage Site list of UNESCO. We owe it to ourselves to go visit the temples and visit this wonderful exotic country and meet its kind people not only for the richness of their culture and their magnificent forests and wildlife, but to be multipliers of it, and never forgetting the horrors of the past, so that we don’t repeat them in the future. Have you ever been to Cambodia or are you planning a trip there? Tell us about it here in the comments field and if you liked this post, don’t forget to hit the sharing buttons below! I have been following your travels for the last month or so! Thank you for sharing all of the experiences of your family! We are heading over to Cambodia in Mid September for 6 weeks! Looking forward to spending time with the amazing people of Cambodia!! We leave mid September, bummer about that timing. Glad you have 6 weeks to explore this treasure. Is Otres Beach on your list ? Hope so, it's a piece of paradise. 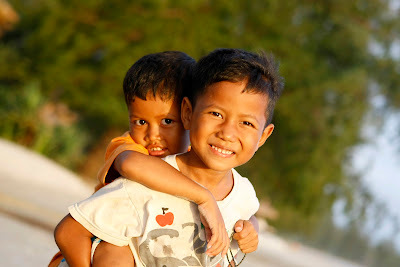 We love Siem Reap, its so social and friendly. Enjoy ! I didn't know much about Cambodia, but reading this has made me very interested in visiting. I love all your photos! Thank you Stacey, Joel is an excellent photographer. I will pass on your praises. Glad we have inspired you to visit this wonderful country. We leave on our backpacking trip in Sept and will definitely be spending a month in Cambodia. Before planning for this trip I too knew little about the country and absolutely nothing of it's history. Right now I'm reading the book "First They Killed my Father - A daughter of Cambodia remembers" - and highly recommend it. Yes Vicky, that book is very moving. The street children sell copies of that book here along with some other books about their history. I'm sure you will love this place as much as we do. We had planned on 2 weeks which is now extended to 6 - 8 weeks here. We absolutely love it and its people. Happy planning and September will be here before you know it - Safe travels ! Thanks, yes Joel is very talented indeed. Would absolutely love to catch up when we make it to Singapore, whenever that may be. Thanks for reading. Feel free to share our blog with your FB friends and alike. Morgan was asking when he and Charlie could play again. Those two really hit it off at JJ's. Thanks for the info! It was really interesting!